Before embarking on your Election Campaign, you must first determine your own strengths and weaknesses. You have in your possession a sword and a shield together with a backpack containing provisions (food and drink) for the trip. You have not had much time to prepare for your campaign but have been training yourself in swordplay so you have a Strong hand and exercising vigorously to build up your Stability. To see how effective your hasty preparations have been, you must use the dice to determine your initial STRENGTH and STABILITY scores. 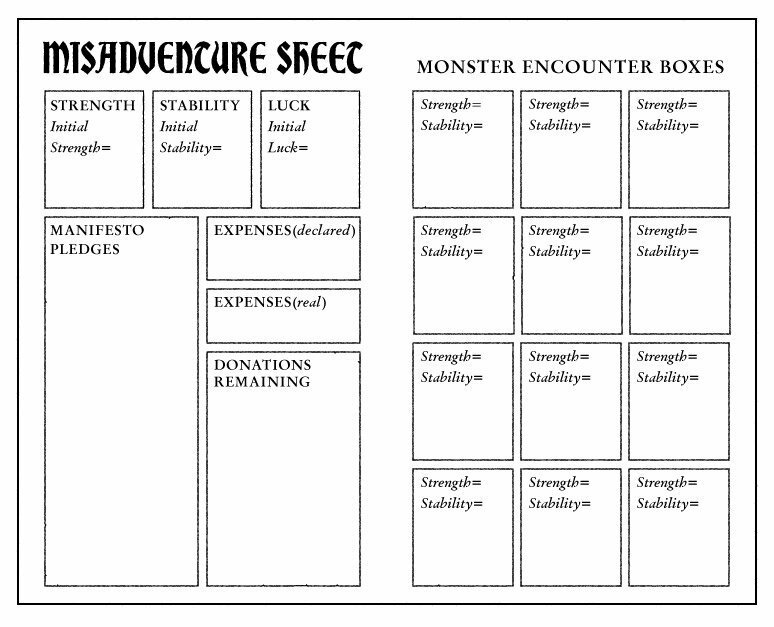 Below, there is a Misadventure Sheet which you may use to record the details of your Campaign. On the Misadventure Sheet you will find boxes for recording your STRENGTH and STABILITY scores. You are advised to record your scores on the Adventure Sheet in pencil. Roll one die. Add 6 to this number and enter this total in the STRENGTH box on the Adventure Sheet. Roll two dice. Add 12 to the number rolled and enter this total in the STABILITY box. There is also a LUCK box. Roll one die, add 6 to this number and enter this total in the LUCK box. For reasons that will be explained below, SKILL, STAMINA and LUCK scores change constantly during the campaign. You should keep mostly accurate records of these scores and for this reason you are advised either to write small in the boxes or to keep an eraser handy. But never rub out your Initial scores. Although you may be awarded additional SKILL, STAMINA and LUCK points, these totals may never exceed your Initial scores, except on very rare occasions, when you will be instructed on a particular page. Your STRENGTH represents your stubbornness, force of personality, physical prowess and ability to get things done. The higher the STRENGTH score, the more chance of achieving your goals. Your STABILITY score reflects your general constitution, your will to survive, your determination and bloody-mindedness; the higher your STABILITY score, the longer you will be able to survive. Your LUCK score indicates how naturally lucky a person you are. Luck – and magic – are facts of life in the fantasy kingdom you are about to convince to let you rule over. You must choose 3 Manifesto Pledges before you begin your quest. Each Pledge is written on a magical scroll. Choose these wisely, as the reactions of many of the creatures you meet will be determined by the Pledges you hold. Kill all the foxes and sell Oliphant tusks. Steal from the rich, give to the poor. Take property from The Demented. Free magic lessons for everyone. Support the Barons and Guilds. Support the Peasants and Artisans. Support the Clerics and Healers. Join the Great Council of Ealdamar. Fight an eternal war against the Darklands. Fight an eternal war against the Coalition of Chaos. Forbid all magic except under strict supervision of the Watch. When you have chosen your 3 pledges, write them on your Misadventure Sheet. It is important to write them in pencil, as you may decide to alter them later, although this may result in serious consequences for your campaign. As you travel through the country you will need to pay for goods, services, bribes, henchmen, sages, hangers-on, blackmail, agitators, hair-cuts, shoes, smart clothes and so on. Write the running total in the box marked EXPENSES (actual). This number cannot exceed the total of DONATIONS you have received. The mysterious and powerful Guild of Judges will require you to declare your EXPENSES. When this happens you can choose to declare the actual amount, or, if you wish a lesser amount. Write the amount declared in the EXPENSES (declared) box when instructed. The maximum you may declare is 300 Gold Pieces. You will be granted Gold Pieces in Donations from various creatures, lobbyists in return for favours, power or tasks achieved. To calculate your initial DONATIONS Roll 1 Dice and add 6, If you have chosen pledge "5. Support the Barons and Guilds" multiply this number by 10. Deduct from your current DONATIONS when you spend money, and do not forget to keep track in EXPENSES (actual). There is one true way through the dungeon and it will take you several attempts to find any. Make notes and draw a map as you explore – this map will be invaluable in future adventures and enable you to progress rapidly through to unexplored sections. The one true way involves a minimum of risk and any player, no matter how weak on initial dice rolls, should be able to get through. However, hiding from monsters, debates and avoiding declaring your Manifesto Pledges is a sure path to defeat. May the luck of the gods go with you on the adventure ahead! Thousands of years before the dawn of civilisation, evil magicians fought for supremacy... and Ko-Tep was the most aggressive. Ko-Tep: "The world was mine this morning, the battle was won. All that stands im my way is Razman." Razman: "OOOH Ko-Tep! you have defeated my hosts. But in order to win this world, you must defeat my magic, or your own demons will destroy you!". Behold! Ko-Teps demon army, a wretched band of scum and villains. A spike-helmed hobgoblin, a Nazgûl re-imagined by Jack Kirby from the neck up, an armoured vampire Bugbear, a lesser-spotted cycloptic orc, a Barbed Devil (more on him in a moment) a Chaos Broo and some odd fellow in latex fetish gear. A line-up of strange humanoids that could have been generated by an Encounter Table out of back of Gary Gygax 1977 Advanced Dungeons & Dragons Monster Manual. Opposing Ko-Teps demonic hordes stands the Hosts of Razman who display a little more orderliness, with their Centurian / Cuirassier / Firefighter helmets, heater shields and pole arms. Not a million miles away from the Legion of Sérqu from Armies of Tekumel (1978) and I wouldn't be surprised if Razman turned up in any 70s TSR product. We don't see much of these armoured warriors, but the prospect of arraying Razman and Koteps armies against each other across a tabletop is an awesome prospect for fantasy wargaming. 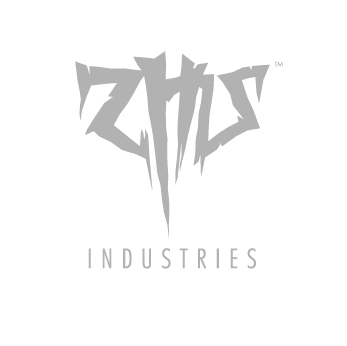 But hold on a second, what is this thing we're talking about Zhu? Obviously some kind of cartoon. 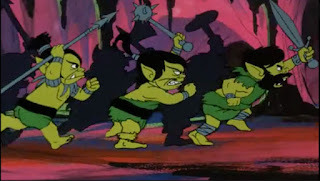 Thundarr the Barbarian, or the Herculoids? Maybe Space Ghost or Space Sentinels? No, dear reader, it is Spider-Man. Spider-Man 1967 Intro. Don't count the legs. 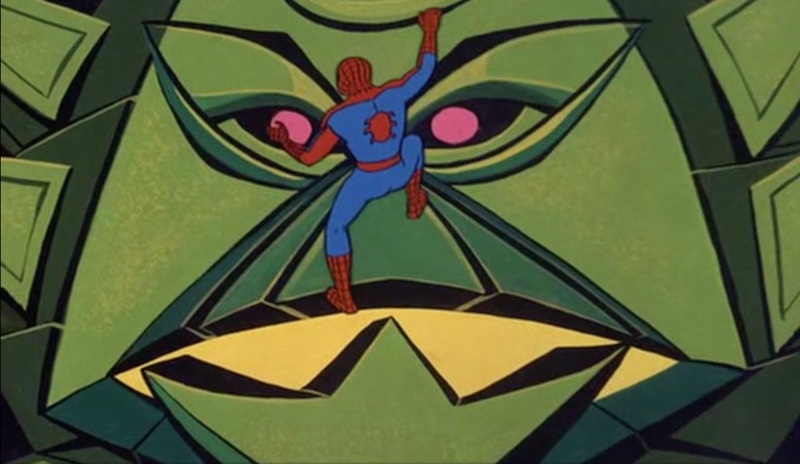 The original Spider-Man cartoon was first broadcast between 1967 and 1970. The first series, produced by Grantray-Lawrence Animation, consisted of reasonably lightweight advetnures of Spider-Man battling his well recognised comic book foes, Scorpion, Green Goblin, Sandman, Mysterio, Rhino, whilst eye-rolling at desk-thumping, cigar chomping newspaper boss J Jonah Jameson and flirting with Betty Brant. With Series 2 production was moved to Krantz Films, and it gets off to a solid start with the Spider-Man origin story in Episode 21 - the first time in the animations run that the story is told and the series settles into a comfortable mirror of the 1960s comic book, teen romance, looking after Aunt May, battling villains, struggling with studies - all pretty much what one would expect. But then it all starts to unravel, and go a bit weird. Strange otherworldy Swords & Sorcery motifs and freaky psychedelic vibes unexpectedly emerge as the spiders web spins off into unfamiliar territory. 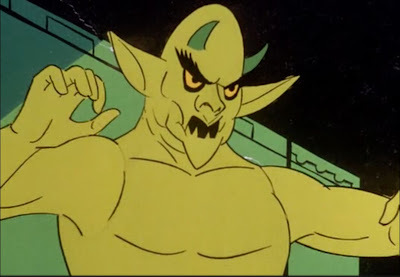 Whilst there are both earlier examples fantasy-genre themes and later near-legendary trips into psychedelic weirdness in Spider-Man, it's Episode 29: The Evil Sorcerer that stands out as the most clearly Swords & Sorcery influenced episode, in which Peter Parker learns of the prehistoric battle for supremacy between the evil wizards Ko-Tep and Razman. 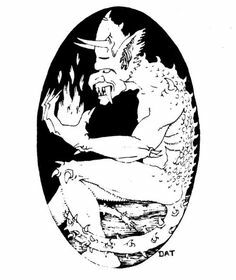 So we return to our story a thousand years or so after Ko-Teps defeat by the spells of Razman, he is accidentally reanimated from his petrified form to harass museum-going hipsters and beatniks in swinging sixties Manhattan and summons, once again, his mighty fire-breathing Barbed Devil minion. 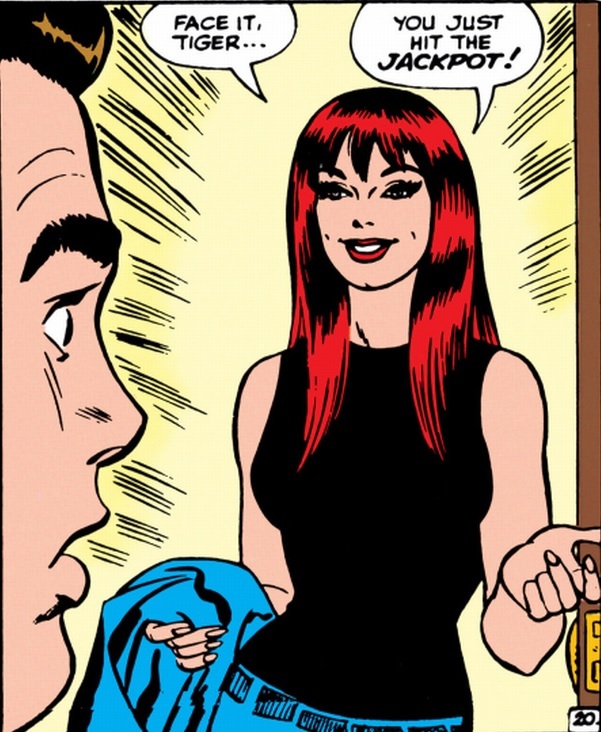 It's not long before Ko-teps evil plans are stopped by Peter Parkers arachnoid alter-ego, but not before he ruins the troubled teenagers date with archeology student and Mary-Jane Watson look-a-like competitor, Susan. ...stealing jewels from the eye sockets of a gargantuan tiki demon idol statue in order to use them as a weapon against giant dimension-hopping Triffids destroying New York City. I kid you not, that is the actual plot. 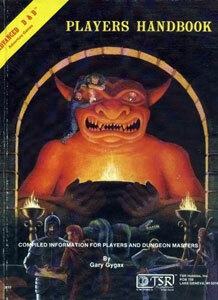 One can only speculate regarding the relationship this scene has with Trampiers cover to the iconic AD&D Players Handbook (1978) which features the theft of jewels a left eye from the eye sockets of a gargantuan demon idol statue. There are burning braziers either side of the idol in the cartoon as well. It's always the left eye that gets stolen first isn't it? So how did we get here? How did our Friendly Neighbourhood Spider-Man go from the troubled teen costumed crime-fighter with super-science spider-powers to gonzo science-fantasy dimension hopping adventurer? The first thing any animation fan will tell you is that Spider-Man Series 2 was overseen by Ralph Bakshi, and much of the strangeness is attributed to his influence and Bakshi's love of the fantasy genre is evidenced throughout his career. 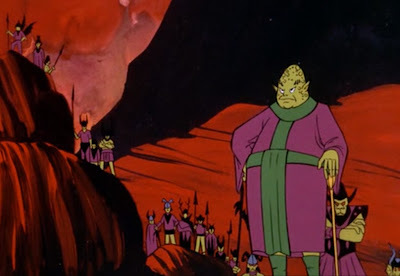 There is the whole war-of-the-wizards plot in The Evil Sorcerer that characterises both Wizards (1977) and Bakshis adaptation of The Lord of the Rings (1978). 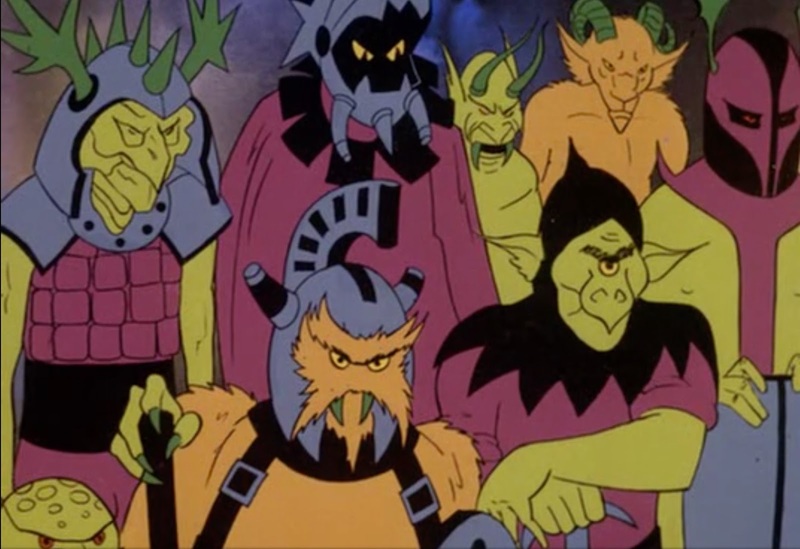 Then there are specific design elements, like the angry green barbarian hobbit goblins that Spider-man calls "Elves" in Episode 27 Spider-Man vs. the Molemen who appear to be direct predecessors of Weehawk and the other denizens of the land of Montagar in Wizards. Spiderman vs the Moleman "Elves"
Then there are also thematic uses of cyclopean architecture, and the sketchy watercolour psychedelic black, cyan and magenta background colours of Spider-Man that reappear in Wizards and the more adventurous impressionistic scenes in Bakshi's adaptation of Lord of the Rings both by John Vita, I think. The Warrior of World's End has no discernable plot and instead throws its protagonists into a sequence of increasingly bizarre unplanned events and accidents. The book displays no pretence of character development arcs or other paint-by-numbers literary formula. The muscle-bound dolt of a genetically engineered Hero remains such from beginning to end. 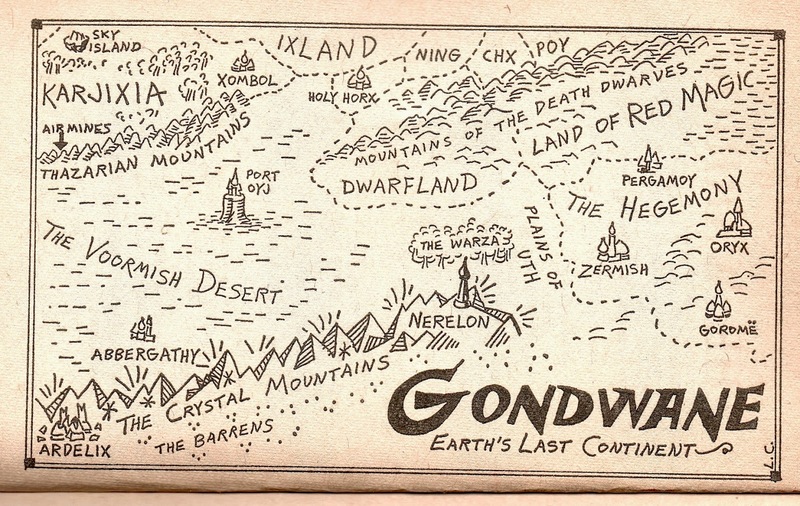 The world-building makes no sense whatsoever, there are Tiger-men, Death Dwarves (a kind of poison-eating Niblog), powerful magic using evil queens who are set up as antagonists and then completely abandoned. The other characters are a menagerie of Gamma World (1978) random generation proportions - there's a teleporting psychic ghost lobster, a sentient giant golden eagle robot airplane, an illusionist who masks himself constantly in purple vapours, a buxom teenage female warrior knight clone of Red Sonja. 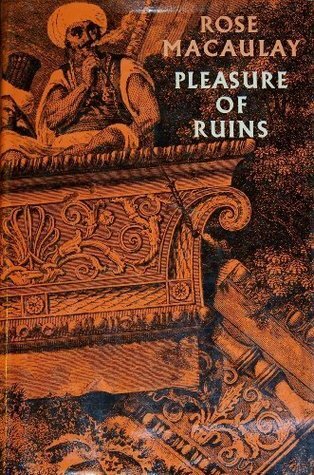 Each page reveals some new invention or novel weirdness, yet never seems to form a coherent whole. It's brilliant, wacky fun and maybe where Carter really shines, in the gonzo-funhouse literary equivalent of a saturday morning cartoon. Carter has more tangible connections into the gaming world as well. Being the co-author of two fantasy games published by FGU - Flash Gordon and the Warriors of Mongo (1977) an RPG sourcebook for the Flash Gordon comics by all accounts, and the miniatures wargame Royal Armies of the Hyborean Age (1975) with Carter doing the background and force composition and FGU founder Scott Bizar doing the rules. 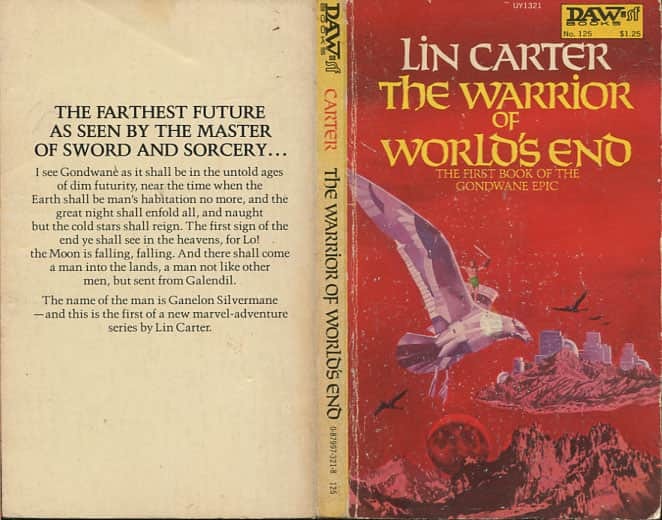 Carter also corresponded with MAR Barker on Barkers Tékumel prior to the publication of The Empire of the Petal Throne (1975) - and for the petalheads out there, Carter briefly borrows the name "Yán Kor" - an Empire to the north of the lands of the Petal Throne for the name of an immense desert in Warrior of Worlds End . This is amusing not least because Barker and Carters world-building strategies seem so at odds, Barker containing much that is strange and unusual brings his vision into a coherent and richly detailed whole, whereas Carter seems more enamoured with the joys of invention and poaching from pop-culture for its own sake. In this way both Spider-Man and World's End are very much like Gary Gygaxs default setting in AD&D, where quasi-folkloric and fairy-tale figures rub shoulders with dinosaurs and creatures cribbed from a myriad sci-fi novels, comic books a no-holds barred, anything goes attitude. Both Carter and Bakshi come into a fair amount of negative criticism, some of it quite undeserved. 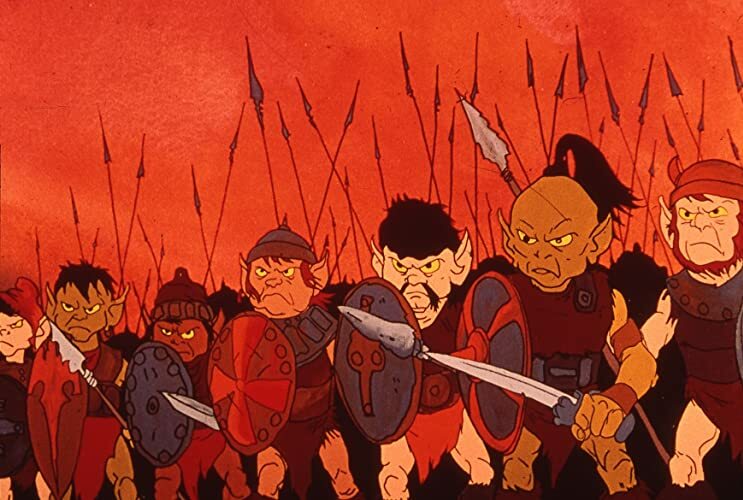 Bakshi's heavy reliance on both rotoscoping (tracing drawings from film), most notable in Fire and Ice (1983) co-produced with fantasy art demi-god Frank Frazetta, and his heavily stylised cartooning which conservative fantasy fans tend to dislike, draw a lot of flack. 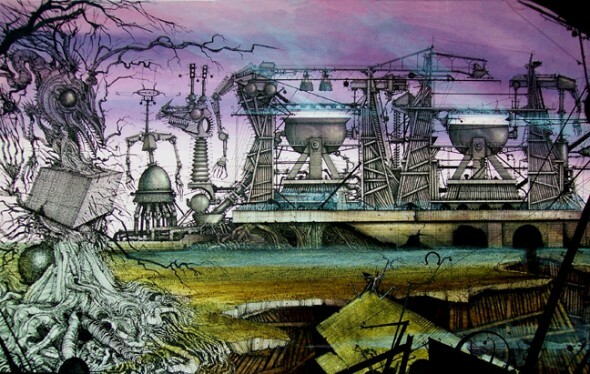 Then there are persistant accusations of plagiarism, especially regards Vaughn Bodés character Cobalt 60 and Peace / Necron 99 in Wizards, for which I'm inclined to believe Bakshi's intention to pay tribute. Many Tolkien fans despair at his Lord of the Rings (1977) adaptation for it's style, forays into expressionist psychedelia, editing and lack of an ending. Even Spider-man despite it's occasionally glorious delving into Swords & Sorcery and the bizarre, due to pressing budget, recycles animation sequences, plots, and on more than one occasion is just plain shonky. 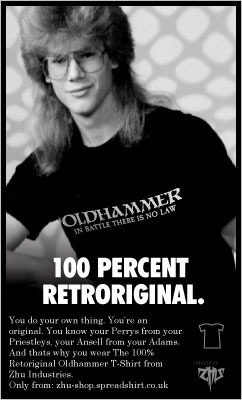 Carter is probably best known for his pastches of Howard, Lovecraft and Burroughs and alongside his role in the de Sprage / Conan controversy, these have somewhat coloured his reputation. 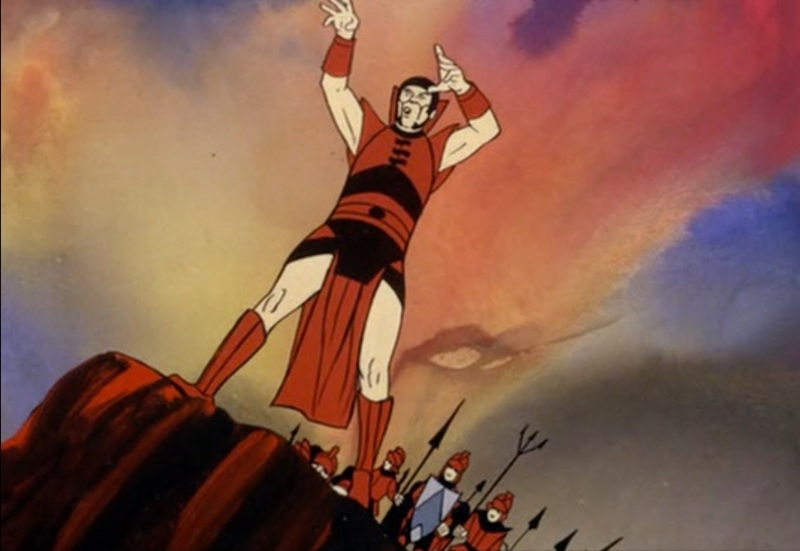 Thongor and the Wizard of Lemuria (1965) and the sequels which Carter was working on during his Spider-Man period, itself adapted by Marvel Comics in the 1970s, is more coherent than either Spider-Man or Warrior of World's End, but is ultimately pretty dull barbarian fantasy fare, although it does have more air-cars and fantastical creatures than the average Conan story. Nontheless, in my potted and unthorough research on Carter, his genre contributions to Spider-Man seems to be almost totally overlooked in fannish retrospectives and biographies. I can't help think without that missing strand of 1960s New York saturday-morning cartoon surf-jazz, it may be too easy to miss the gonzo, madcap genius that lurks within Carters body of work and the strangely potent web of influence it has on the wider genre.